The GIGER MD® therapeutic tools are equipped with a special therapy software. Learn more about their benefits. All of our therapeutic tools (except for Combofit) are equipped with the proprietary GIGER MD® therapy software. Via this software, the patient can access important information about his current status and treatment progress. The level of organization of the human central nervous system (CNS) serves as a basis for this. GIGER MD® therapy software continuously measures the state of the neural network and the autonomic and motor skills of the patient. 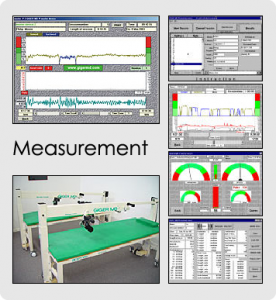 It provides information regarding the achievement of training requirements, performance data and the patient’s own pulse on various easy to read displays and via acoustic and visual signals. GIGER MD® therapy software is successfully used worldwide by hospitals, rehabilitation centers, doctors, physiotherapists and private clients.